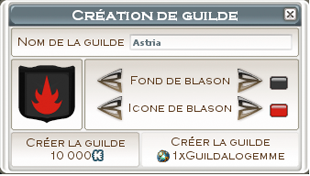 Guild creation - WAKFU Tutorials - Learn to Play - WAKFU, The strategic MMORPG with a real environmental and political system. If you feel ready to become a true leader, why not create your own guild? Just head to your nearest Guild-o-Matic, available in all good Guild Banks. 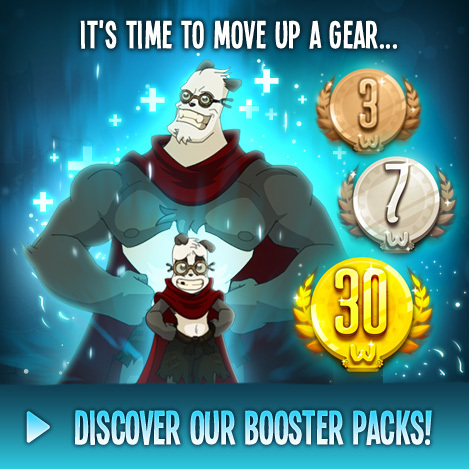 Once there, pick a guild name, emblem and colors, before selecting your preferred payment method – a pouch of kamas or a Guildalogem – to create the guild. It’s as simple as that! You can open the guild window from the “Community” menu or by hitting “Shift+G”. This interface permits you to invite new players to the guild, promote fellow members to various ranks, or break up the guild altogether. 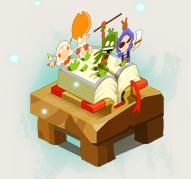 You can also launch guild quests, manage guild points and improvements, and access information about your Haven World here. To communicate within the guild, use the “Guild” channel or type /g before your message. All the other members of the guild will receive your message, no matter where they are!